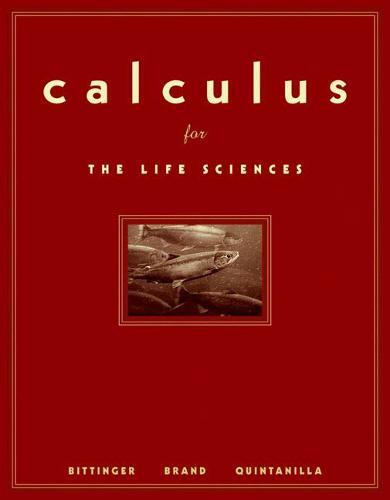 Based on the best-selling Calculus and Its Applications by Marv Bittinger, this new text is appropriate for a two-semester calculus course for life science majors. With four new chapters and two new co-authors, Calculus for the Life Sciences continues the Bittinger reputation as one of the most student-oriented and clearly written Applied Calculus texts available. The exercises and examples have been substantially updated to include additional relevant life science applications and current topics.